The Lew Electric PUFP-S is an indoor floor box that provides duplex power in a hidden and attractive pop up. When closed the pop up is hidden in your floor, all you see is a stylish round stainless steel top. When you push the slide button the top tilts open revealing the power outlet. 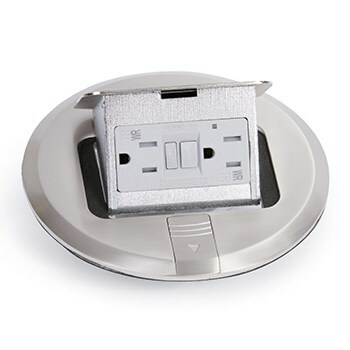 The GFI protected outlet is 15 amps with tamper resistant plugs, and is UL listed. This pop up is perfect for any locations where you need hidden power, or locations where a wall out is not available. 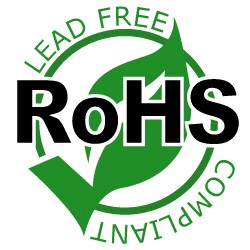 The unit as a whole is UL listed, it is also cUL recognized for Canadian installations. In the closed position the top is UL compliant to keep out dust and scrub water.